With the holidays fast approaching, you may be thinking about ways in which you can improve your home before those first visitors arrive. You’re digging the fall decorations out of the closet, and you’re making sure that the guest rooms are ready to go. However, what about your home’s lighting and the various fixtures throughout the house? 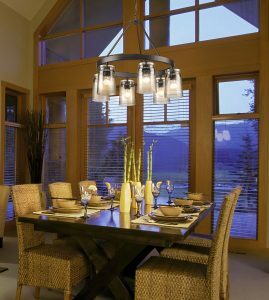 At The Light Center in Fort Collins, we can help you come up with a new lighting design for your home, and find new fixtures for every room. When you came home at the end of the day in July and August, you had plenty of daylight left to enjoy. Now that October is here and the end of Daylight Savings Time is around the corner, you’re going to be turning on more lights as you enter the house. As the days get shorter, you’ll be relying more and more on your interior lighting, so why not make sure it looks and functions the way you want? New floor and table lamps can transform your living room, and you’ll have plenty of illumination for those chilly fall evenings when all you want to do is sit down and enjoy a cup of hot apple cider. Lighting plays an important part in each room of your house, but it may have been several months since you thought about the placement and design of each fixture. Now that your weekends aren’t quite as busy, it can be the perfect time to redesign the lighting around the house. If your bedroom lamps are looking outdated, upgrade them with new options that use energy-efficient LED bulbs. You’ll likely be going to bed earlier during the fall and winter, so you’ll definitely get more use out of these lamps. You’ll also be using more electricity during the colder months of the year, so modern fixtures with energy-efficient bulbs will help you save on your monthly bills. Fall and winter are usually when your dining room gets the most use, as you tend to have more visitors and house guests during the latter part of the year. If the room has sat unused for most of the year, then take this opportunity to upgrade it before your first big dinner party. A new chandelier and a few wall sconces can transform the space and make it feel more inviting when you have guests. We can help you choose the appropriate fixtures and will gladly answer any questions you have about installing your new lighting. Since it will be dark, or nearly dark, when you get home in the evening, it’s important to have the right outdoor lighting. The design and appeal of your exterior fixtures are what create the first impression that people form as they approach your house, so why not make it a good one? New pathway and landscaping lights will accentuate your front entry, and garden lights in the backyard will make the space feel more cozy as you sit by the fire pit on those nights when it’s still nice enough for outdoor entertaining. 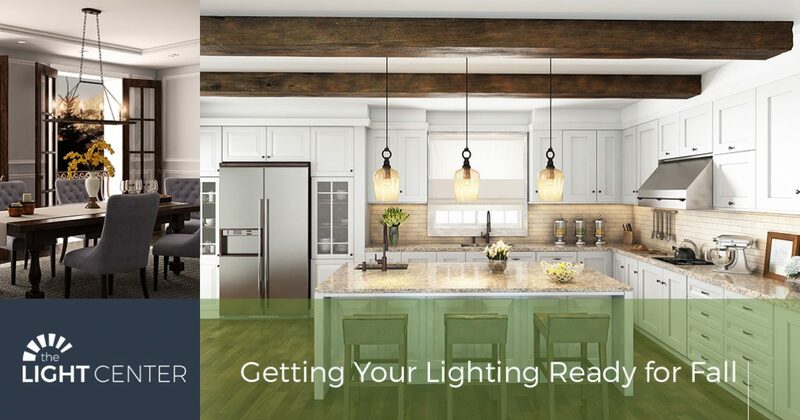 At The Light Center, we pride ourselves on offering an outstanding selection of lighting options, and when it comes to designing a room, or several rooms, there’s no better choice in Northern Colorado. Visit our showroom in Fort Collins today to see what we have in stock, and please feel free to contact us beforehand with any questions you may have. With more than 45 years of experience, we know what it takes to help any homeowner.